CheckinLine has created software that centers on fan data, profiling and insight, plus research, conversations and databases. 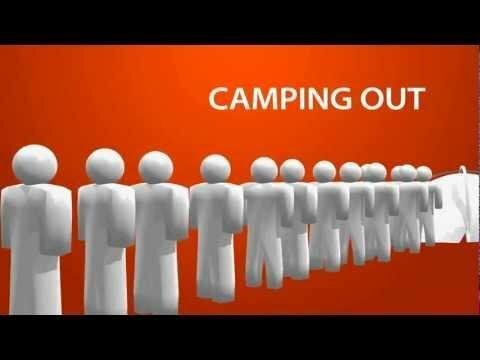 Their virtual service imitates the physical act of “camping out” or “queuing up” for swag and provides an engaging platform for organizations (sports, ticketing and events) to communicate with fans/supporters/members in an efficient and pro-active manner. Ben Flavel, CheckinLine Founder and CEO, is expanding the companies sports business presence amongst NCAA institutions. The Sports Techie community blog is sharing this sports technology story with our readers because this new innovative fan engagement platform that collected one year’s worth of fan big data in five days of testing at Arizona State with The Aspire Group, today announced its continued expansion into the American college market, recommending to their 25 colleges to join the committed schools already on the platform. CheckinLine, is the newest and most innovative International fan engagement and data collection platform. CheckinLine enables clients to efficiently conduct personal conversations (an average of 5 mins per day, per user) and present “offers” across all levels of customers, both existing and new. The downstream benefit is the delivery of enhanced profiling information to the CRM. CheckinLine evolved from Flavel’s frustration after trying for 12 hours to access tickets for an elite cricket match in Australia. 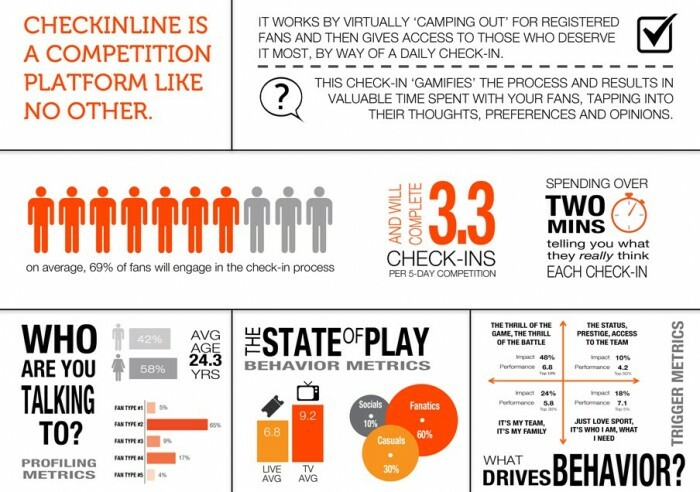 The aim was to apply “queuing theory” and create a fair, transparent online environment where the most passionate fans gained priority over other fans; a real world solution to an online problem. Today’s announcement follows CheckinLine’s highly successful U.S. Beta test with Arizona State University and the successful launch in Australia with Hawthorn FC, Stadium Australia (ANZ Stadium), Etihad Stadium, Octagon and St Kilda FC. Other committed schools include The University of California-Berkeley, Boise State University and Illinois State University with a host of new partners coming later in the second quarter of 2014. Welcome to CheckinLine from CheckinLine on Vimeo. The business creates a mobile environment where fans “check in” on a daily basis and participate in a virtual online competition to prove their affinity and improve their chances at getting tickets and special access to a wide range of events. It was after early testing on the platform that it became obvious that this check-in was a great way to talk to every fan in line and that fans will line up for virtually anything – not just tickets – on the gamified platform. Select Universities are able to access the CheckinLine platform for free and run specially designed competitions, enabling them to connect with and understand their fans like never before. The test with Arizona State involved offering a game day “money can’t buy” experience for their first home football game of the season. Over 600 fans, 25% of which were current students, were required to check-in once a day over 5 days and were asked questions to determine what triggered game day attendance. Data analysts then applied structured equation modeling and other research methodologies to deliver real, actionable insights at a fraction of the price of traditional research methods. CheckinLine works because it prioritizes demand in a fair and transparent way, valued by the user. Their patent pending method of data collection means that we can conduct the type of in-depth research studies not otherwise achievable online. The process itself ‘games’ the experience, generating opinion-based data at a fraction of the cost of existing online methods. Sports Techie, CheckinLine is now ready for their Fan Engagement and Data Platform to operate in the virtual world, simultaneously, engaging and enriching databases with over 30 schools nationally. Their unique competition platform connects and helps to understand your fans, and how they connect with brand and sponsors. Whether you have tickets, giveaways or money can’t buy experiences, CheckinLine virtually camps out for registered fans, and assigns access to those who deserve it most, via a daily checkin. They designed the product for competitions and those who run competitions to track data and have insights delivered via a free snapshot report plus the option to fully receive analyzed data and insights specific to your fans. Imagine having simultaneous one-on-one conversations with a target market while knowing each fan profile, as they line-up for events, products and services. Tune into thoughts, preferences and opinions of fans enabling warm and fuzzy lead generation opportunities. How many of the 68 NCAA tournament teams this season will be CheckinLine customers by the time March Madness and the sweet 16 roll around in 2015, probably enough to make it a sports tech trend to jump on at your University. Bravo to ASU and the other U.S. colleges for supporting this emerging sports tech tool. The fair way to get inline, online.